I bought the L133 a few months after the launch there in 2014, theoretically superior model, with internal 32Gb and 2Gb of RAM, which was enough for the time, more expensive, USD305.00 more exactly. The Android that accompanied the device continued until today with only one update that did not take it from Android 4 (4.2.1 more specifically). Less than 1 year after the release I was already with the device totally out of date in the software issue, even if compatible in hardware with the commercials out there. It is not conceivable that such an expensive device has been "forgotten" by its manufacturer, that for years has not received updates, honestly, even having Hardware for this, as so with these settings does not even have Android 6? Instead of launching dozens of models to try to please everyone at the time of purchase, why not keep who bought interested in buying new appliances of the brand and indicate to friends? 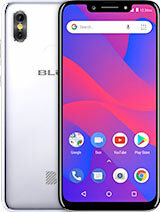 I have not bought any Blu devices until today because of this, I do not indicate the brand any more and I will not go back to buy until the company changes this policy, whether it is worrying about the customer or developing models to drop in the hand of google with the android one. Today my main cell phone is from another brand, I still have this blu that several applications do not work due to the old android. When I launched the game Pokémon GO I was excited because my device had Hardware to account for the app, but it was not compatible, I went there and installed via apk, I used it for a while, then Nyantic goes there and updates shortly afterwards for the minimum of Android 4.3 (this device already dropped out here for being 4.2.1), then Nyantic barred use by apk, but was already without having how to use in time. I do not attribute the problem to Nyantic, attributed to Blu, who did not update to Android's recent version of the device, who did not care to make the most downloaded game of its time compatible with the device that had compatible hardware. Over time several other applications have stopped working because of the old android. Today the phone only serves to use the extra SIM cards. I will not buy handsets that do not receive updates. 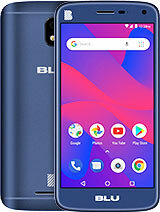 My Blu Life One X was great, for the first few months. I got is as a gift for graduating elementary school in June.Then out of no where ,in September, it started turning of and shutting down randomly. my power button inst stuck and i don't have a case on it. Please Help! I hate this phone. Mainly because of its sturdy build and powerful, useful, and speedy nature. The problems I have are simple. 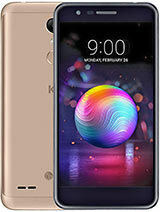 I want a phone that has a fingerprint reader and other items that only come with a more expensive phone. 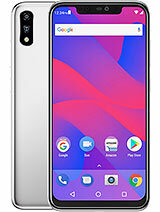 I was got this phone when my old phone died and this was the best of the best on the blu website, the next week they came out with the blu pure xl or whatever it is. It has fingerprint, bluetooth 4.2 and all the other features i wanted but couldnt afford. 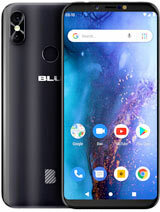 Now I have had the blu life one x for a year and they have replaced it with a newer version under the same name. 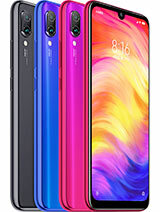 Its impossible to break to justify a new phone and It is just so handy that I have no valid reason to spend 500 on the new asus or samsung phones. It bothers me but at the same time impresses me. I am glad i got the phone i did. I just wish i got it a few months earlier or that something would go pop so I could get myself something new and not feel like i wasted my money. Its annoyingly well made. Its runs terribly smooth. I hate its perfect simplicity. 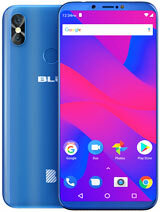 I got my Blu this Tuesday and started using it successfully and happily. However, I've had it "hang up" during several conversations. It seems that the screen wakes up (even though I have the phone to my ear) and the pause button gets depressed and the person is "on hold" until I figure it out. I hung up on the first few people but now, at least, know how to get them back. Mortician1957, 15 Mar 2016Son in law bought 3 for my wife, daughter and myself. All of us have same problem. Cannot c... moreI had the same problem with not being able to change the ringtone. Found out that I needed to create a new audio profile under sound and notifications. Once I did this I was able to use any ringtone I choose. Try it out. This was my second phone purchase from BLU. About three months after purchase, there was a weird issue with the camera not focusing no matter what I did. So I couldn't take decent pictures anymore. Another three months later, the phone randomly shut off. Screen went blank. Charging it, plugging it into a computer, restarting it--nothing illicited a response. I lost six months worth of pictures and videos. Not worth the money. 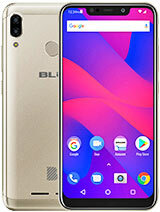 Do not buy from BLU--you're better off spending on a flagship that will last you. Anonymous, 07 Jun 2016really needs a memory slot. Says it's 64gb compatible, but doesn't have a memory slot? Only ha... moreMemory slot for SD card is under back cover near sim slot. really needs a memory slot. Says it's 64gb compatible, but doesn't have a memory slot? Only has 16-32gb internal memory. using usb cable you should be able to backup your whole phone on a pc, same cable for the charger. Son in law bought 3 for my wife, daughter and myself. All of us have same problem. Cannot change ringtone. Stuck on blue ringtone #3. Cannot download games. Tech support says phone not compatible with apps. WTH. Why have a phone that won't accept downloads. Were bought online so maybe we got rejected phones. Any help is appreciated. dwayne, 24 Apr 2015im happy with the phone takes great video liked so much I slept with it and broke the screen c... moreDo you mean you want the screen to turn off when your face is close to the phone so that your face doesn't accidentally touch one one of the screen buttons when you are having a conversation? If so, go to Settings->Smart Gesture and enable "pocket mode"